The KOOI-SYSTEMS Stationary Pull Installation, (SPI) has been combined with a rotating lift table creating a cost effective and highly efficient material handling solution for a major global healthcare company. 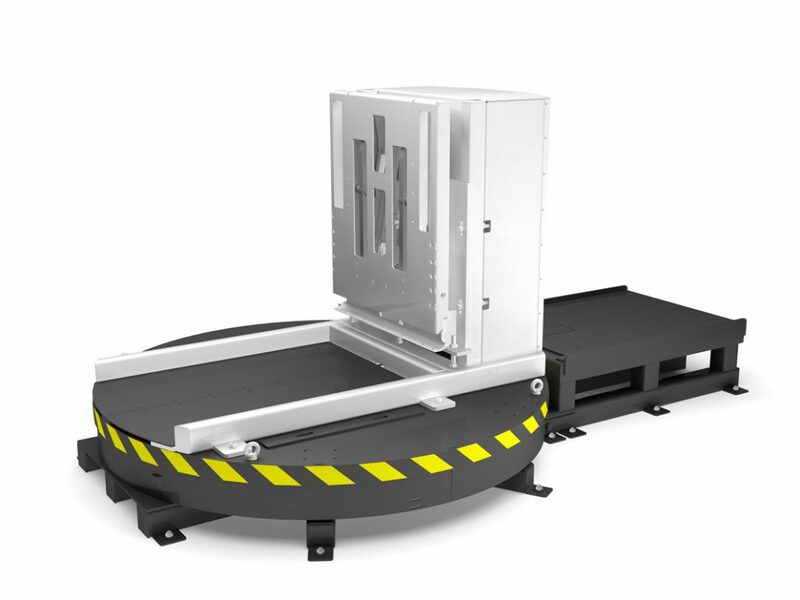 The SPI is used to transfer goods from one load carrier to another within a cleanroom area where no wood is allowed due to hygiene regulations. This compact unit provides the beneficial features of a hydraulic push/pull attachment, (for slip-sheet handling), without the added expense of a dedicated forklift truck and an additional operator. This saves money through cost avoidance while improving efficiency and helping to reduce contamination risks. Loads are easily pulled from one pallet onto another. Delicate loads are safely transferred without the risks often associated with clamping or pushing. This reduces product damage and repackaging costs. The rotating SPI is used in a cleanroom transferring the goods from the isolated area to the warehouse. Strict hygiene regulations require lift trucks and pallet trucks to remain within the clean room areas.